Our renovation is coming to a close! (Is it just me or have I been saying that for months?) Now we are left with the fun task of decorating the new parts and making the older parts look as close to the new parts as possible. Ha. Will see how that goes. 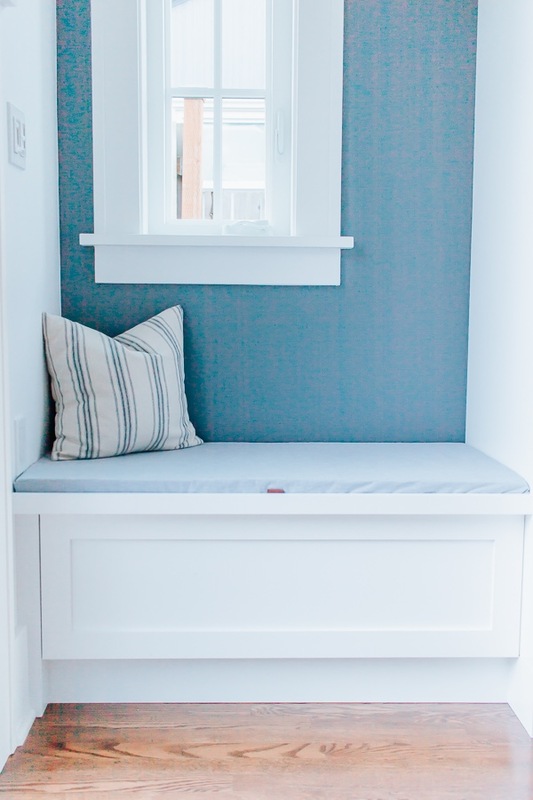 Our new shoe bench needs a cushion! 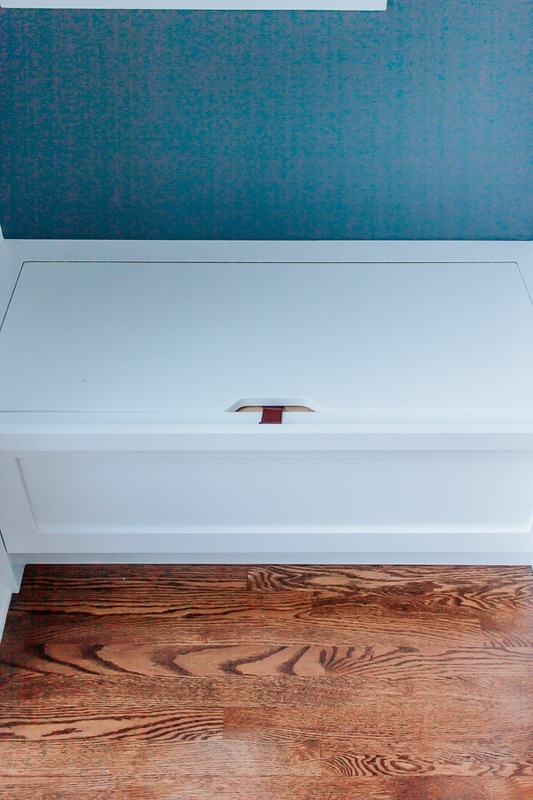 You may remember that a few weeks ago we put a little leather drawer pull on our shoe bench to make it easy to open and close. It’s been working out great. 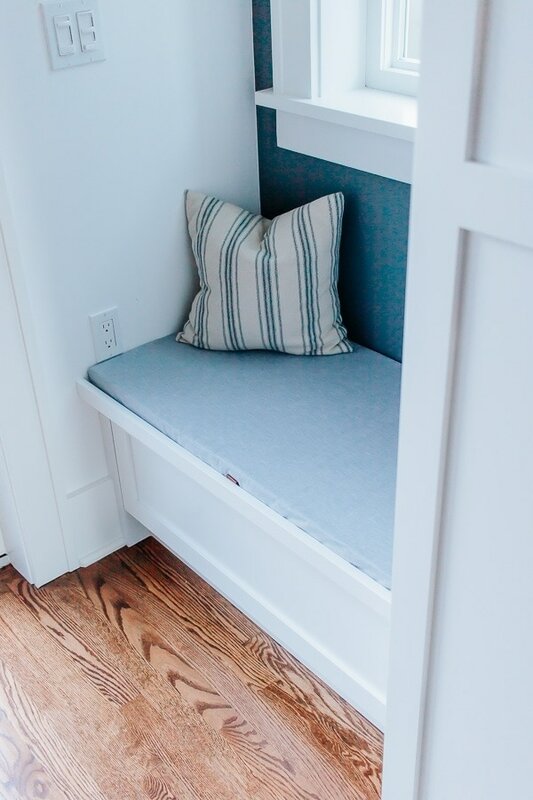 But really, this space is also meant for a cushion. 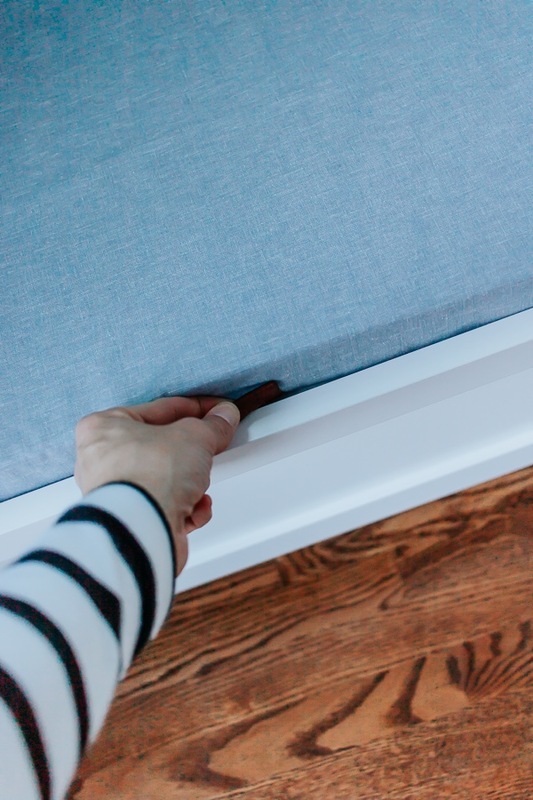 Today I’m going to show you how I made an easy cushion cover with a zipper. I was able to make it all in for less than $50. Win! 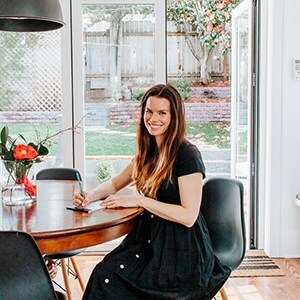 Ok – a little disclaimer. I sew a lot and I love to sew but I don’t consider myself an expert at sewing. I didn’t make fancy mitered corners on this and professionals are probably going to faint once they see my method for putting a zipper on. But you know what? It took me a half hour, it was inexpensive, and it looks really great in my opinion! Here’s what you need to make this. Zipper that’s almost as long as your cushion. (see notes – it needs to be big enough so you can get the cushion in and out of the cover). If you go to your local fabric shop, like Joann’s, you can ask them to cut you a piece of foam for the cushion to the size and width you need. My foam piece (at 24×40 inches and 1.5 inches thick) cost me about $35. But trust me – this is the most expensive part of the project and a custom cushion with a cover is going to cost 4 times that. 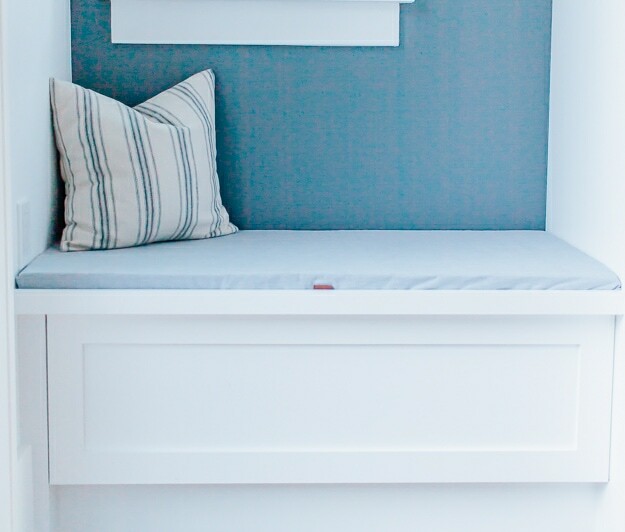 I kept this project easy by using a solid fabric. I didn’t have to line up any patterns. So that’s a good thing to keep in mind if you want to keep it easy. I used a really pretty chambray linen textured cotton for the top and sides, and then used cheap muslin for the bottom. The muslin ended up ripping halfway through my project. It’s fine because you don’t see it – but I recommend going with something a little tougher, like a stronger cotton or canvas. Still cheap but won’t rip on you super easily. The polite ladies at my fabric shop told me I should put batting in between the foam cushion and fabric. But I really really really didn’t want to do that. And frankly, I don’t really see the point? I had batting at home already and I did try to put a layer in between. But it was bunchy under the fabric and comfort wise it made no difference at all. But I felt this was worth mentioning since the sewing ladies recommended it. Ultimately, I went without it! Oh yes – here’s another tip. Don’t go to the zipper section for a zipper. Ask the fabric store if they can cut you a custom zipper in the length you need. It’s cheaper this way too! 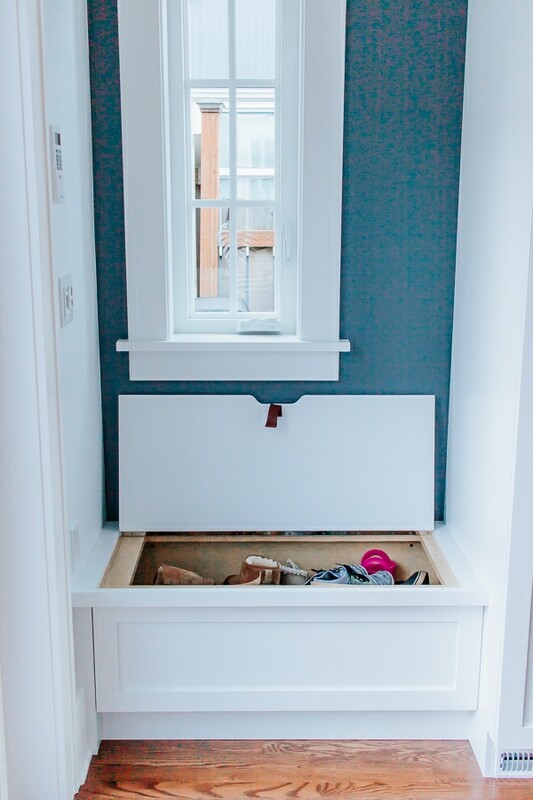 Tip : Start with pre-washed and dried fabrics! 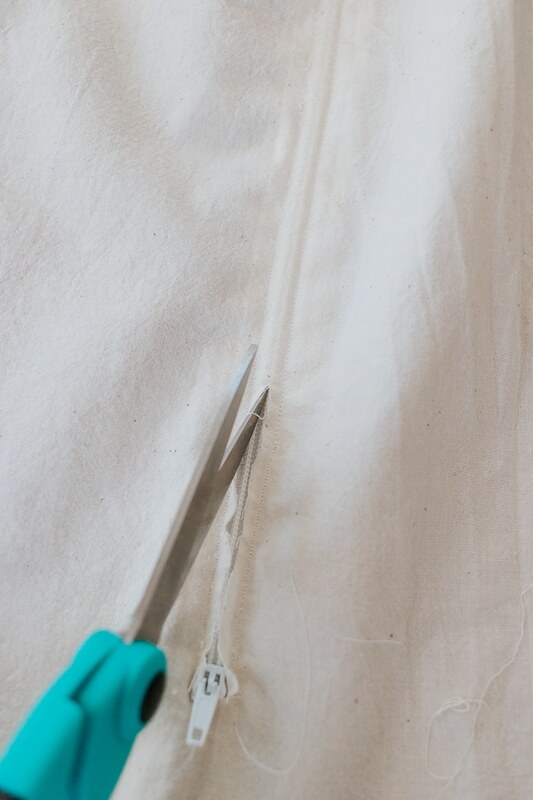 First thing you want to do is cut your muslin to the exact size of your foam cushion. 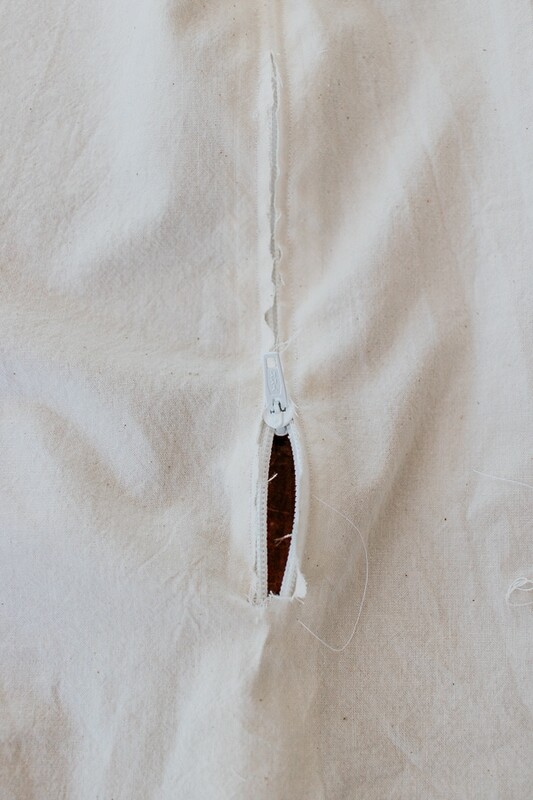 Take your zipper and lay it upside down on your muslin. I wanted my zipper to be about ⅔ of the way to the edge. 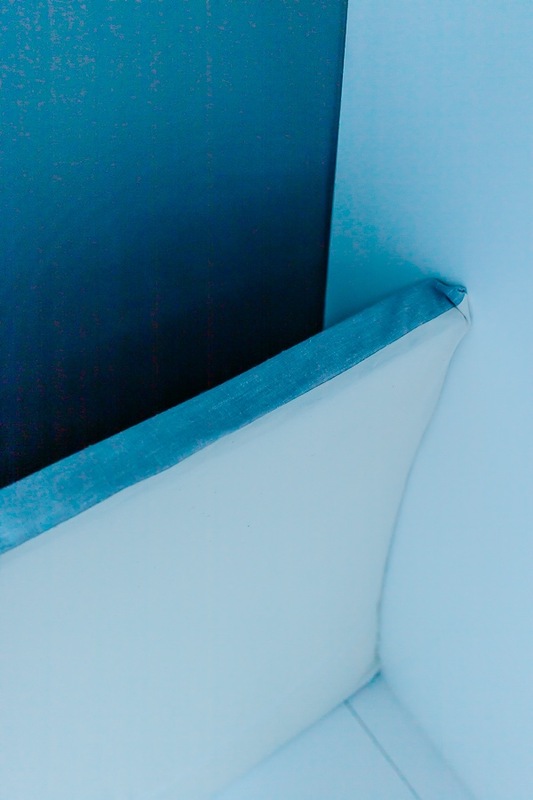 It is much easier to slide the cushion in the cover this way. 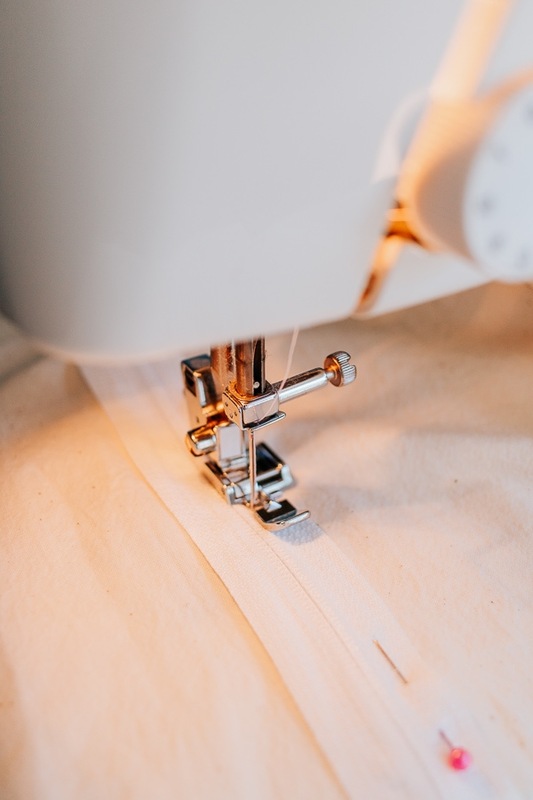 Sew your zipper using your zipper foot on your sewing machine. Yes – sew it upside down. LOL. 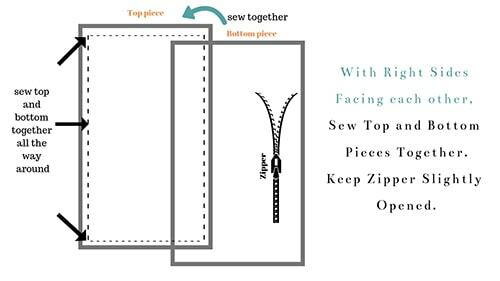 I followed this method of sewing around the zipper part : She’s a great sewing teacher by the way! 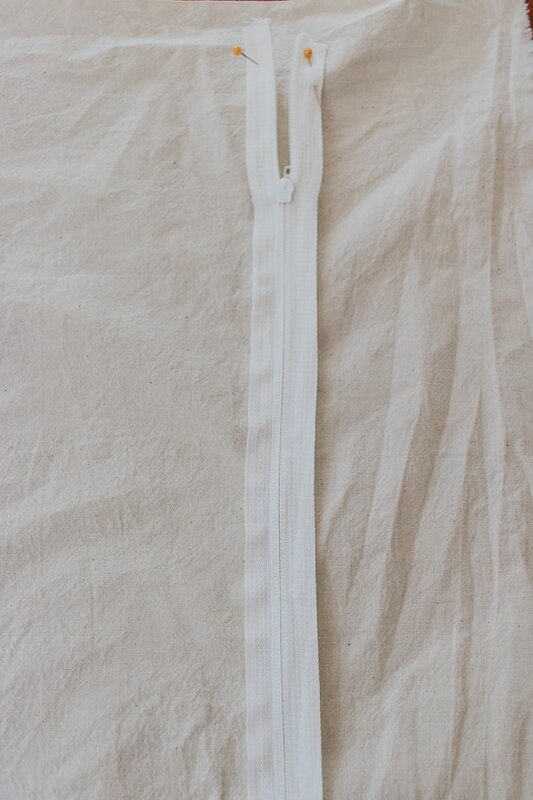 After your zipper is sewn on, flip your muslin fabric to the other side. Cut through the fabric to expose the zipper part. This part isn’t visible so a few frays here and there didn’t bother me, but you can certainly clean up the edges if you want. Your zipper should open and close now on your bottom piece! Now we need to cut the fabric for the top and sides. I used the foam cushion as my guide, ensuring to include all sides of the cushion. You should have two pieces of fabric. The top piece and the bottom piece with the zipper. Place your top and bottom pieces together, right sides facing in. (so, zipper should face towards the middle). Open your zipper a little so you don’t sew it completely shut. Sew these two pieces together all the way around at the edge. I left about a ½ inch seam allowance. 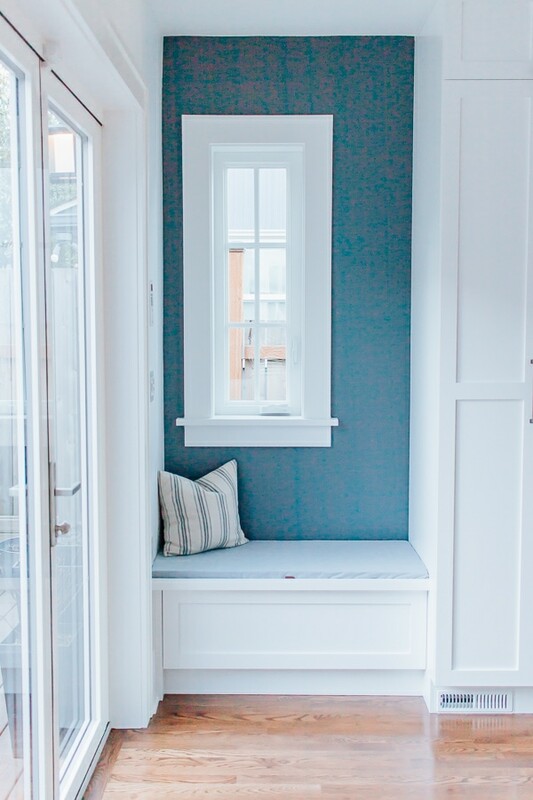 I hope this gave you some inspiration for tackling your cushion-less window seats and benches. I’m surprised how well this project went considering this was my first time making a cushion cover. It’s really like making a giant pillow cover with a zipper on the back. Let me know if I can answer any questions for you guys! Feel free to drop me a comment.